Creating WhatsApp group joining link is pretty easy. Its a piece of cake but it might confuse you, when someone talk about Joining Group Link. In this guide we will try to clear all your confusion and you will be master in creating links to join your WhatsApp group publically. If you have already created a WhatsApp group, and facing problem in adding people from your Facebook groups, the solution is also straight forward. What you need to do is to add all those Facebook Group members in your contact list first. After adding to your contact list, you can add them to your Whats app group. This is the approach which people are following few months ago, but now after the recent update from Whats-app Messenger, they made is much easier. Simply you can send the WhatsApp group invitation link to all the people you know and they can easily join you using that group invitation link. Easy right? Now the question is, do you know how to create WhatsApp group Invitation link? if you don’t know, no worries. I am going to explain you step by step. This tutorial is all about how to create WhatsApp status group join invitation link? Anyone Can join your group with just simple link, no need of any password or any other mess. No Approval required anyone can join without giving you the notification to add the member of not like Facebook group . Solution – you can revoke your group join link anytime, so its no more public and people can’t join your group from your link whenever you want. I think we have discussed enough about WhatsApp messenger and their advantages and disadvantages. Lets come to the main part of this tutorial. Which is creating a Whatsapp Group. Point to be noted, maximum number of members per group is 256. We have tried to make the tutorial as simple as possible. So Let’s start the tutorial which is creating Whatsapp group in 6 easy steps. Step 1 : Open your WhatsApp Messenger and move to Chats screen. Step 4 : Once you’re done with the member selection, click NEXT. Step 5 : Type the Group Name and add a Group Display Picture by tapping on the empty photo box. Step 6 : Click on Create from the top right corner and you are done with creating a successful WhatsApp Group. We do have a list of Latest Whatsapp Group. We segregated them in categories, so we recommend you to visit and join your favorites one. Are you still confuse? not a problem. 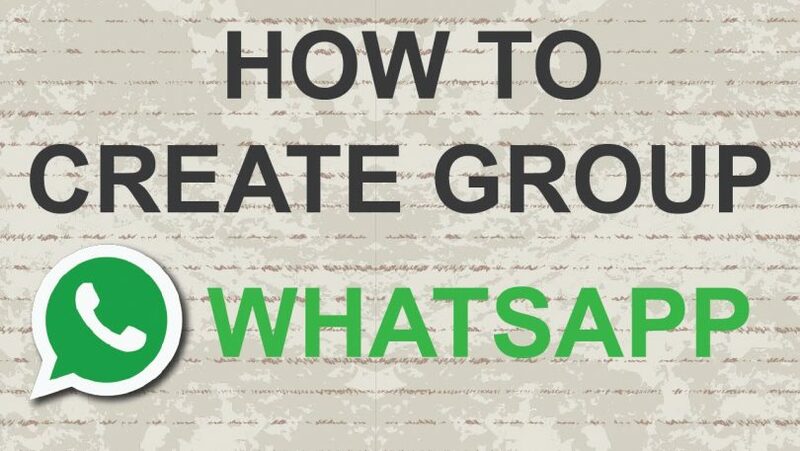 Here is a small video which can show you the Whatsapp groups creation method. So, this is the full and easiest tutorial we made for our viewers. We are very confident that you’re now master in creating WhatsApp Group Joining link Invitation. Keep in mind anyone can join your group publically and the maximum number of members per group is 256. Once its reaches the maximum members, no one can join your group via your Joining link, until or unless someone leave the group or you kick anyone out from the group. If you like this Tutorial and guide, Don’t forget to share with your friends and let them learn some basic to advance level of WhatsApp. Looking forward to seeing you in our another article. Till than stay tuned. Thanks for visiting our website statusarena.